Monochromatic Bell Sleeves (Look 18). 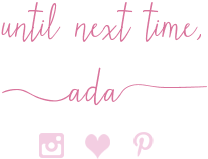 Even-though I had more days off this week than I have had all year lol, I decided to mostly relax and not blog as much, though at first I thought I would. I have at least 25-30 outfits that are shot and have not been posted and only half-way through my capsule wardrobe. But I hope between this upcoming week and next week, I post every single one of them with a lot of two-fer posts in the mix. Anyhow, here is another remix outfit from this Summer's capsule. I wore this yesterday (you saw a sneak peak of it on my Instagram, yesterday, where I topped this off with a hat. I stuck to red, white and blue all of the 4th of July week. 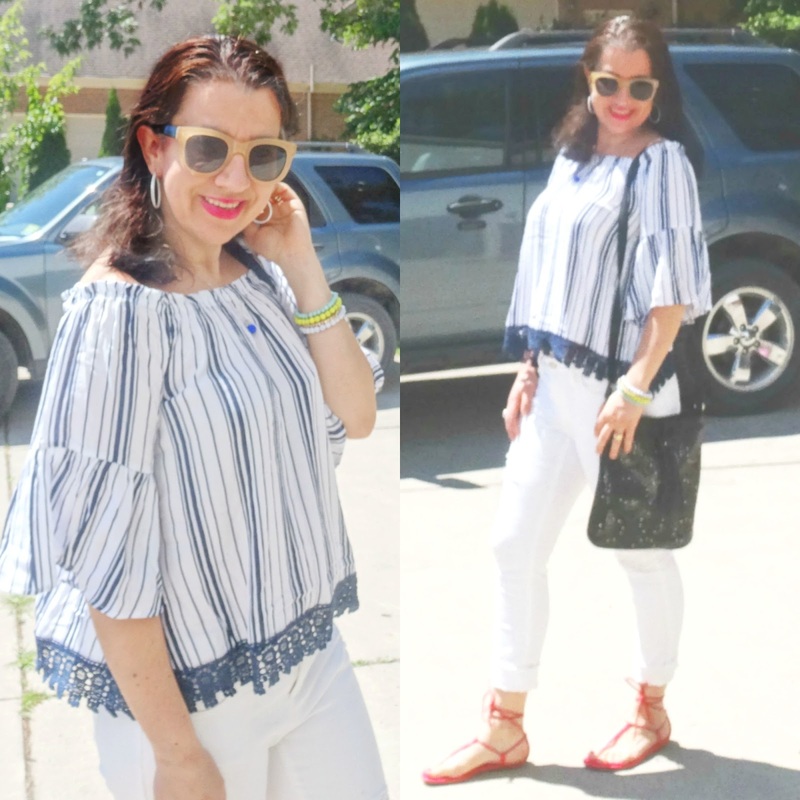 This is mostly an all white-monochrome look but the navy stripes and navy crochet trim of the Bell-Sleeve Blouse and the Red Ghilly Sandals added to that patriotic feel without being over the top. I liked it. 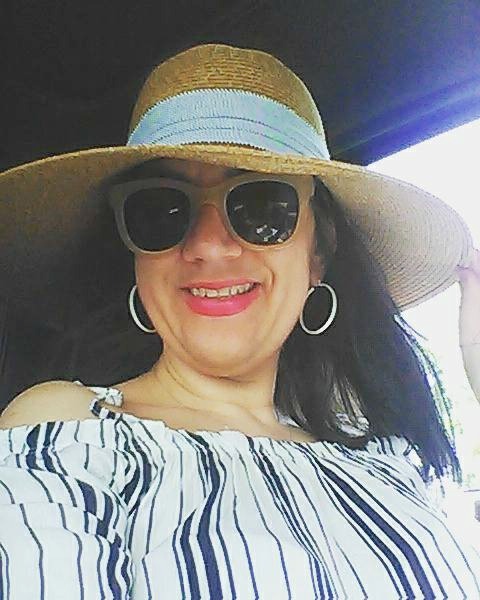 It was comfortable and chic for a mom day out with Vivian where we went to Target (I purchased Vivi the cutest bathing suit and coverup and I got a few nail polish colors, too) and then we went for some pretzels and Mickey D's after. Last but not least we took a walk close to a river by the park. 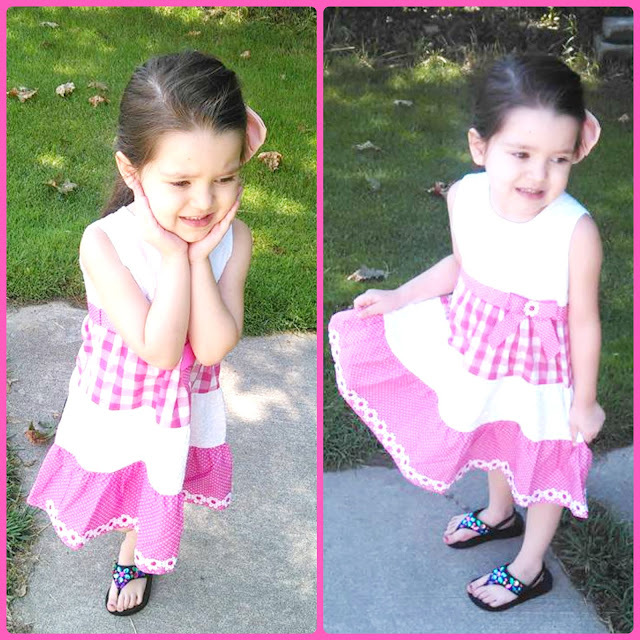 White+Hot Pink Eyelet, Polka Dot, Floral + Gingham Tiered Ruffle Hem Dress w/ Bow Belt: Blueberries (Gifted). Pastel Peach Large Chiffon Bow Barrette: Forever 21 (New). White+Navy Striped, Cold-Shoulder, Bell Sleeve Crochet Top: c/o "Rags and Riches" Boutique (similar popover, Huge Steal, love this), (gorgeous dressy option w/ long sleeves, Steal, my Favorite), (similar ruffled tee, Great Deal, love this), (quite similar, Splurge). 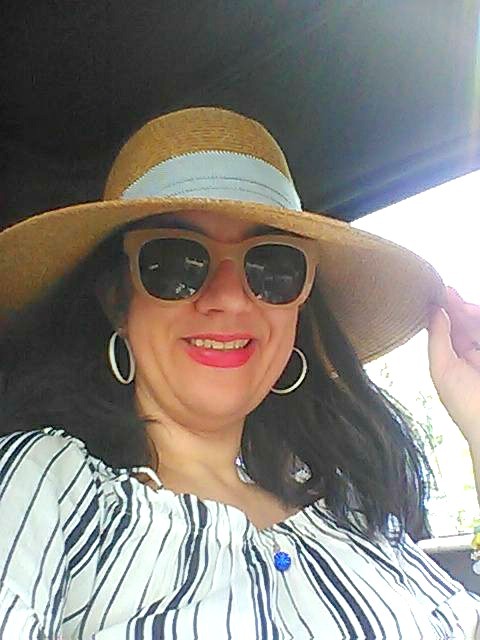 Neutral Floppy Hat w/ Blue+White Striped Ribbon: Merona via Target (New) (identical, for a Steal + I love it! 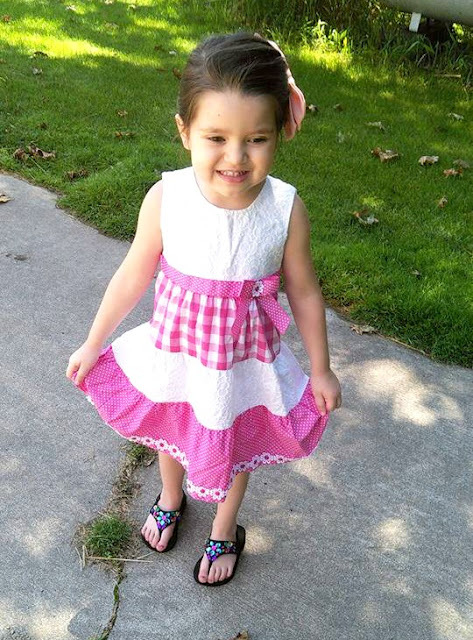 ), (very similar w/ white ribbon), (similar, Steal), (gorgeous option, Great Deal, my Favorite). Black, Faux Leather, Floral Laser-Cut, Drawstring Crossbody Bag: Express (New) (similar current option by Express, Steal), (similar perforated Western style, Fantastic Deal, love this), (similar, love this), (similar, comes in 4 colors, my Favorite). White Enamel Hoop Earrings: Lord & Taylor (Old) (fun option w/ daisies, Steal, love these), (similar w/ white pearls, on Huge Sale, my Favorite), (similar beaded option, Splurge, love these). Taupe, Big-Framed Plastic Sunglasses: Loft (similar, on Sale), (oversized cat-eye style, Steal, love these), (similar, Great Deal, my Favorite), (similar, Splurge, love these). White, Yellow + Turquoise Stretchy, Plastic Beaded Bracelets (part of a set): Sugarfix by Baublebar via Target (New) (similar w/ tassels, come in several colors, Steal), (similar great options in many colors like mint, neon orange, yellow, turquoise or pale pink, Fantastic Deal, my Favorite), (similar current set by Baublebar, on Sale, love this). Bright Pink Matte Colour Riche Lipstick: "Liya's Pink" by L'Oreal (New), (identical, for a Steal + I love it! ), (similar, Great Deal, love this), (similar, Splurge, my Favorite). Raspberry Red Patent Leather Laceup Sandals: Gap (Old) (similar, Steal), (similar w/ block heels, on Sale), (similar, Great Deal, my Favorite), (similar, very comfy).